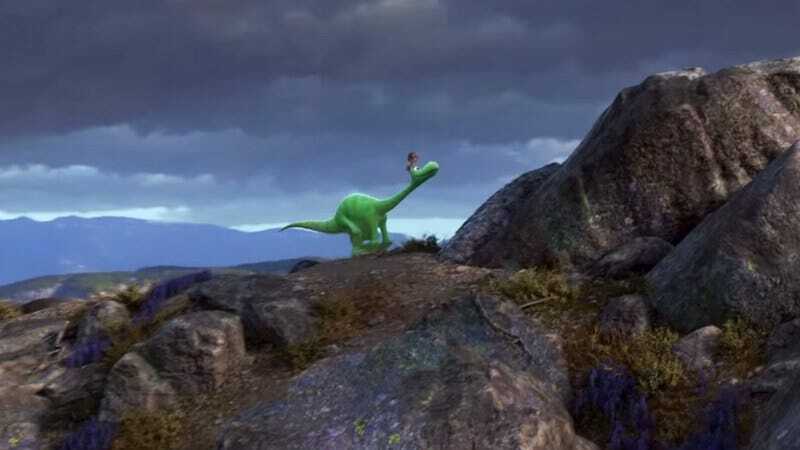 Pixar’s “What if the dinosaurs had never died?” feature The Good Dinosaur was hit with its own extinction-level event two years ago, when director Bob Peterson was moved off the project in favor of longtime Pixar artist and first-time director Peter Sohn. The impact of the metaphorical asteroid slammed the movie backwards, shifting it from its original release date in summer of 2014 to Thanksgiving of this year. At the time, it wasn’t clear if the previously announced cast of The Good Dinosaur, which included Frances McDormand, Neil Patrick Harris, and Bill Hader, would survive the blast; the movie’s teaser trailer, released last week, skirted the question by relying on onscreen text.